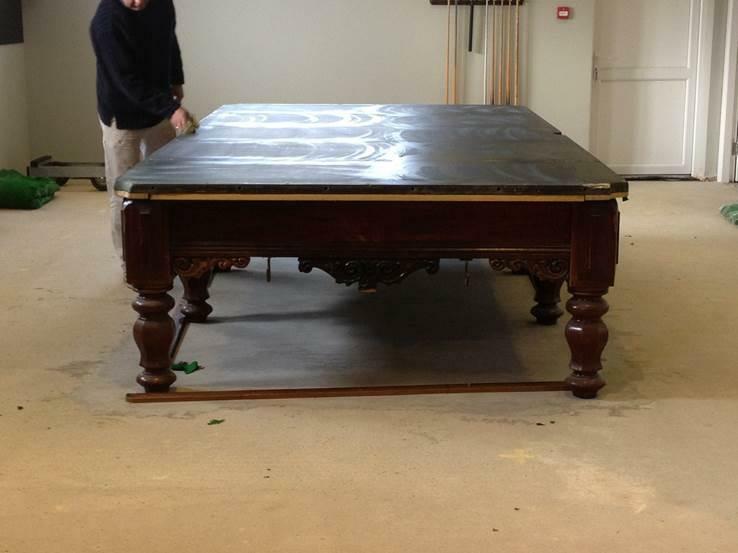 We recovered the table in the highest quality material available. 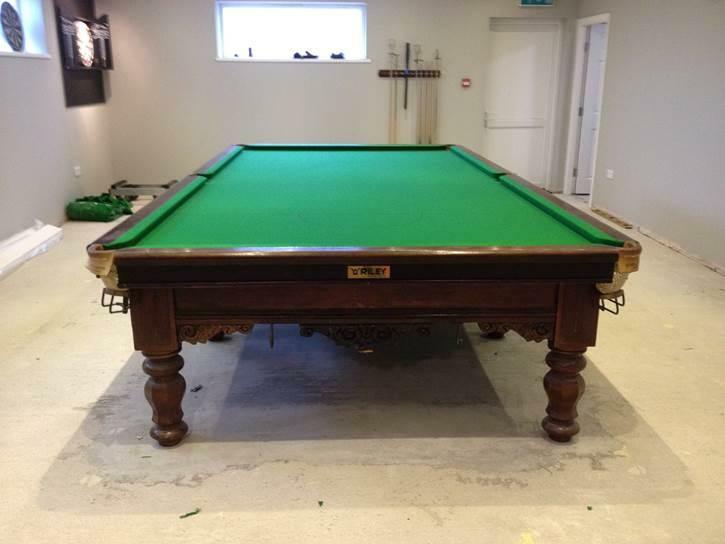 We used 6811 Strachan Gold Tournament cloth, which looked superb after we had finished. 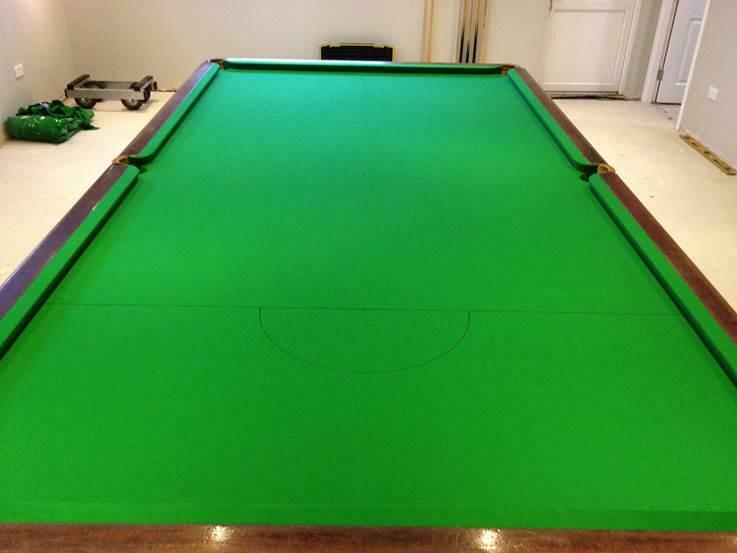 The cue ball control and feel of the cloth was incredible, to the standard of all major tournaments that use this exact cloth. 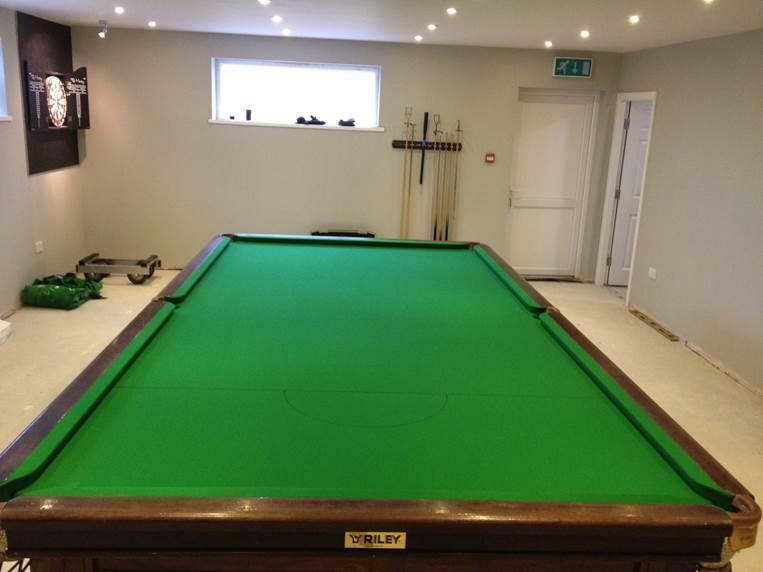 They were extremely happy with the overall result and by the time we left they were queuing up to play on the Snooker Table!